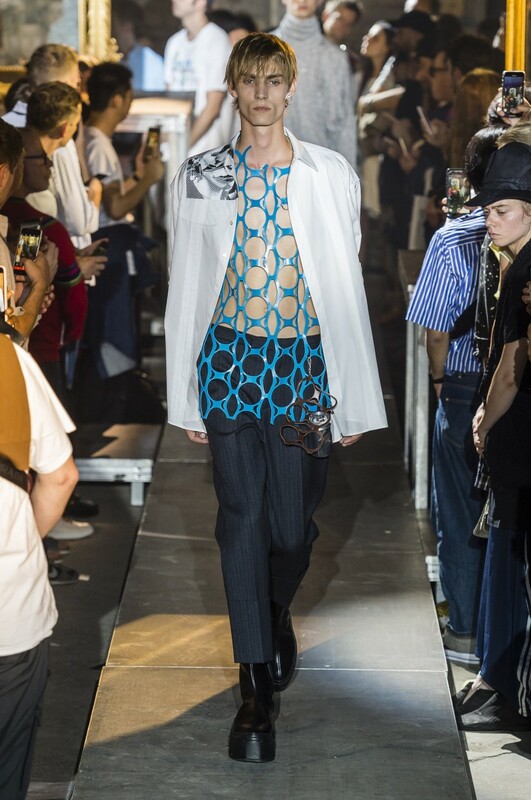 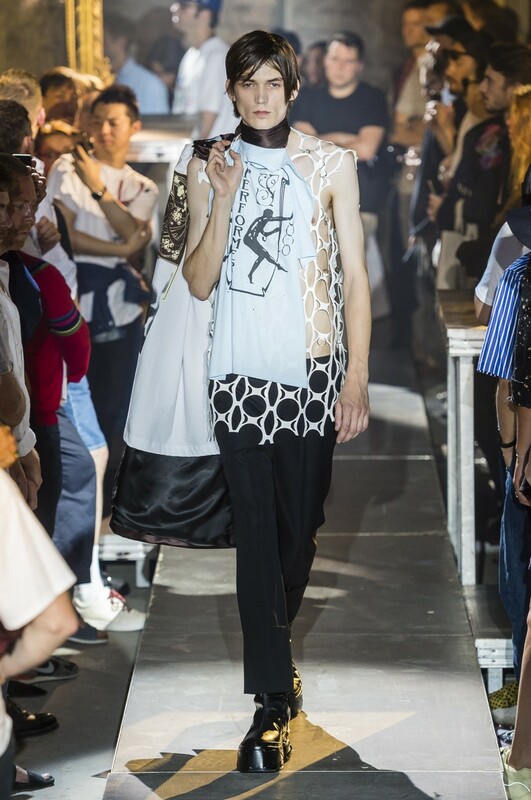 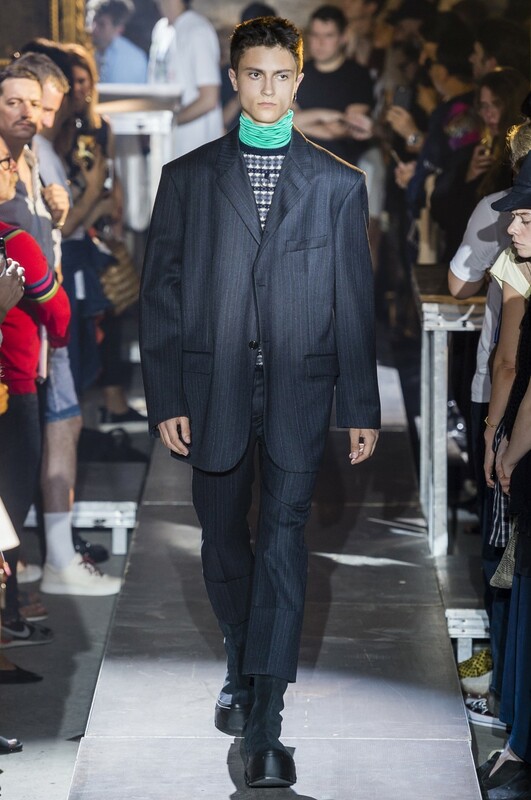 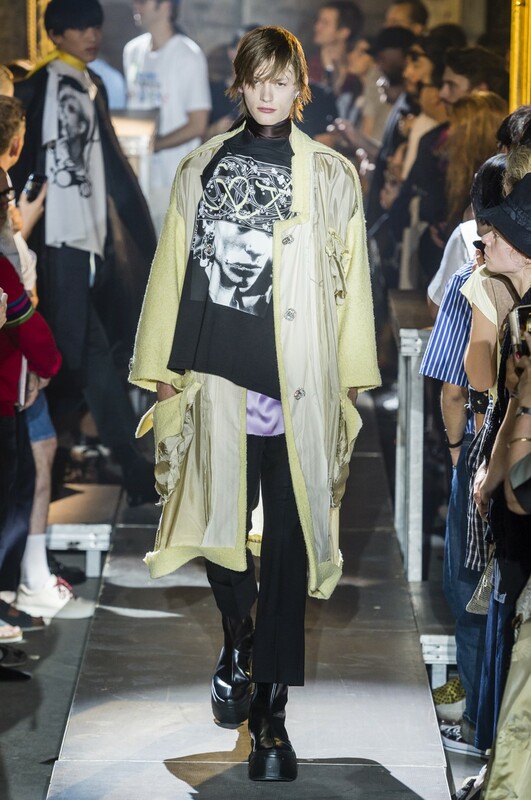 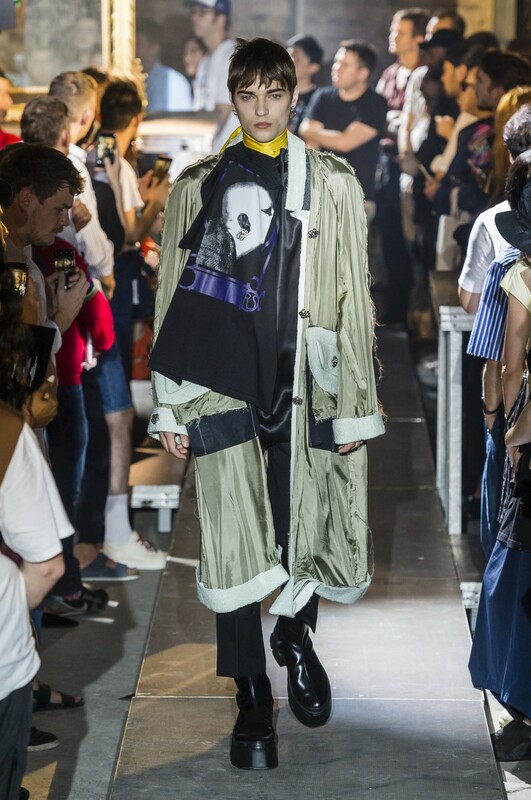 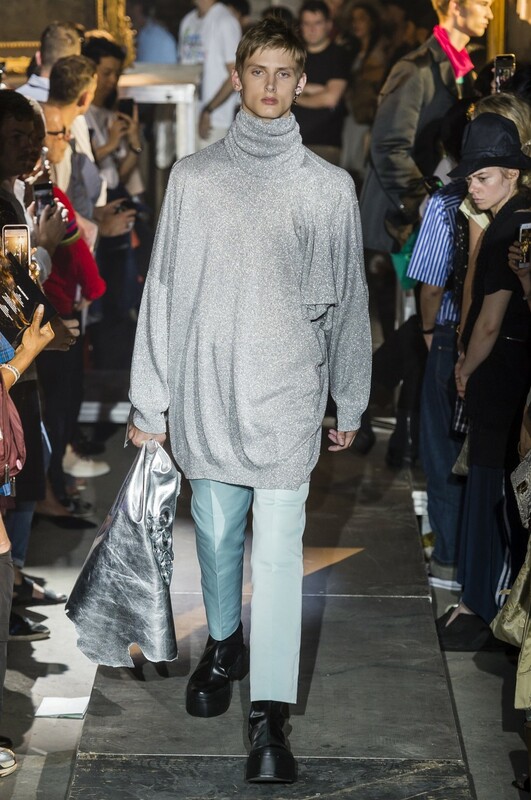 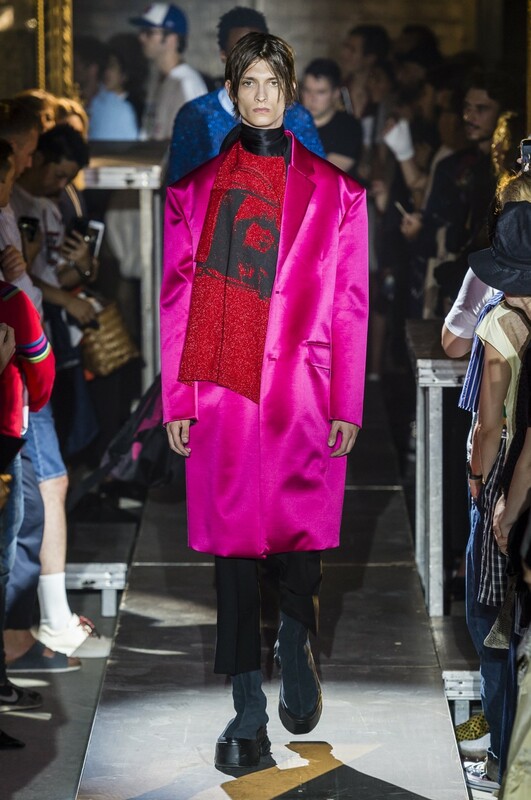 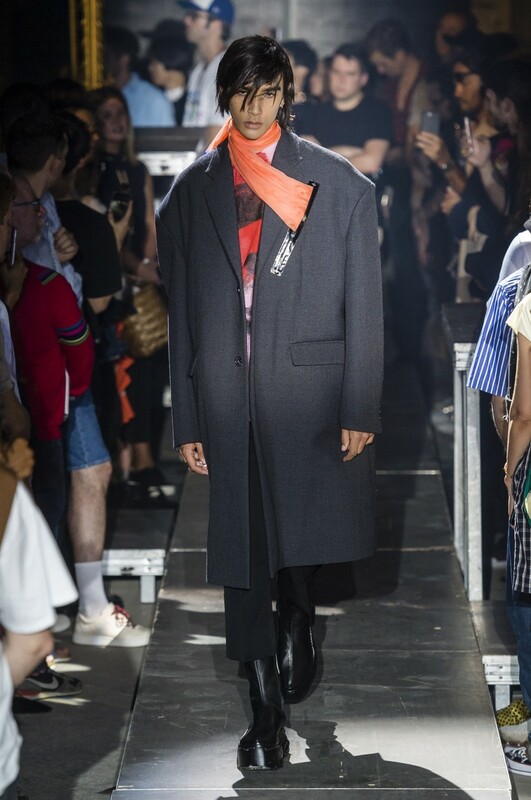 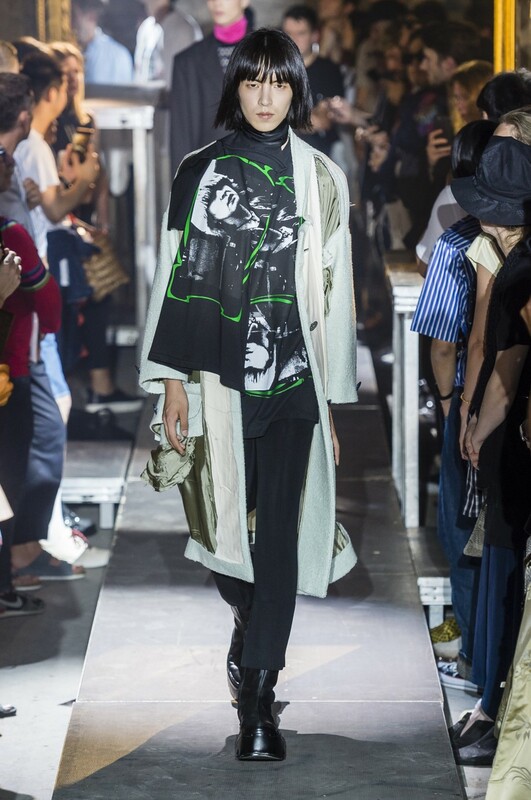 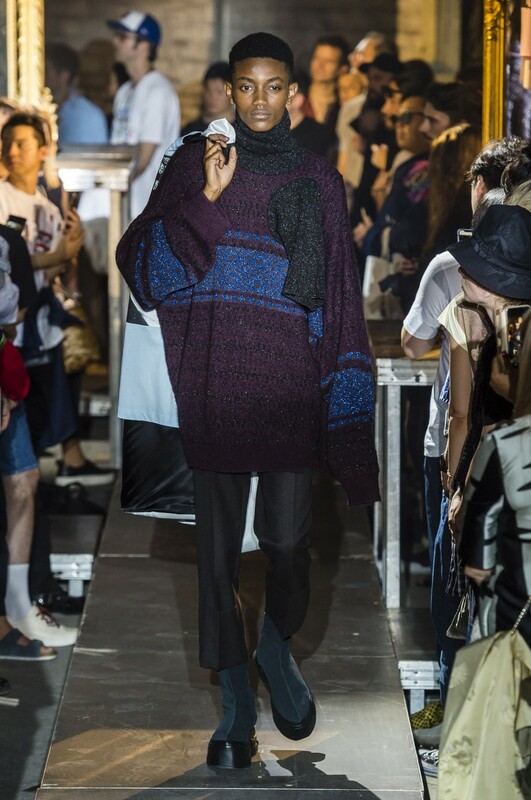 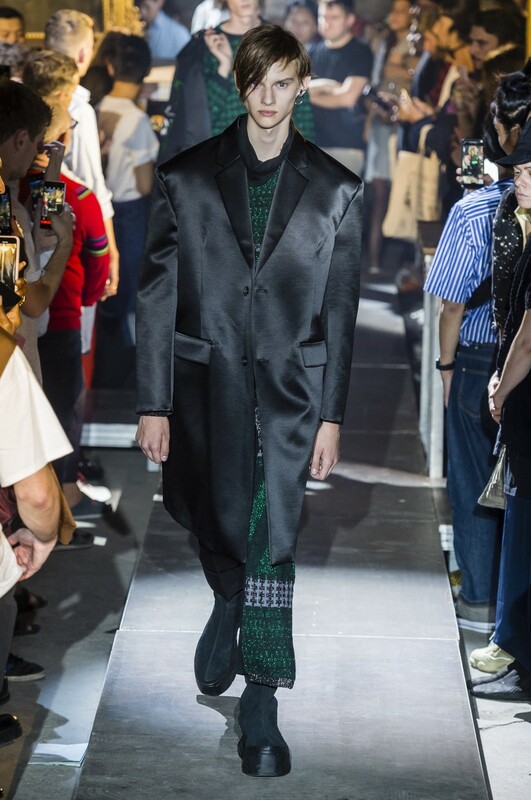 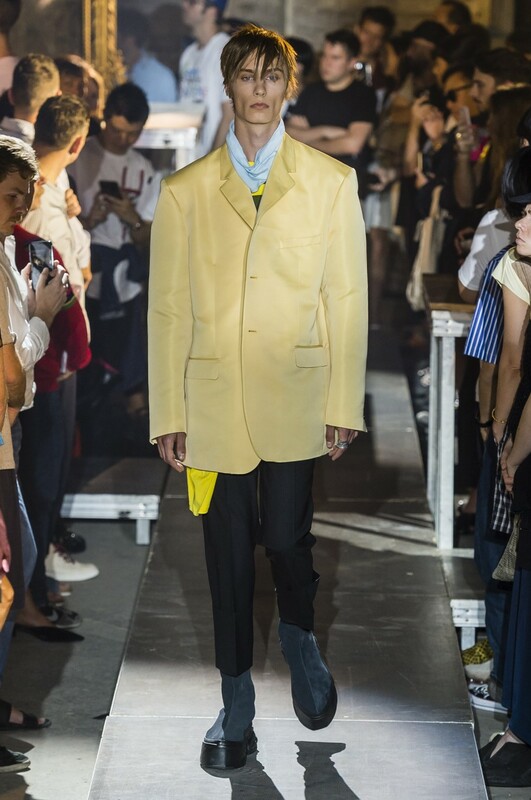 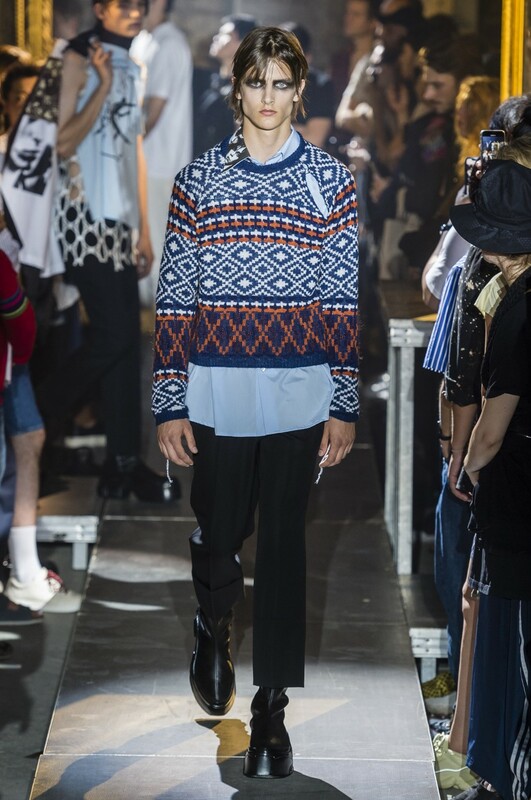 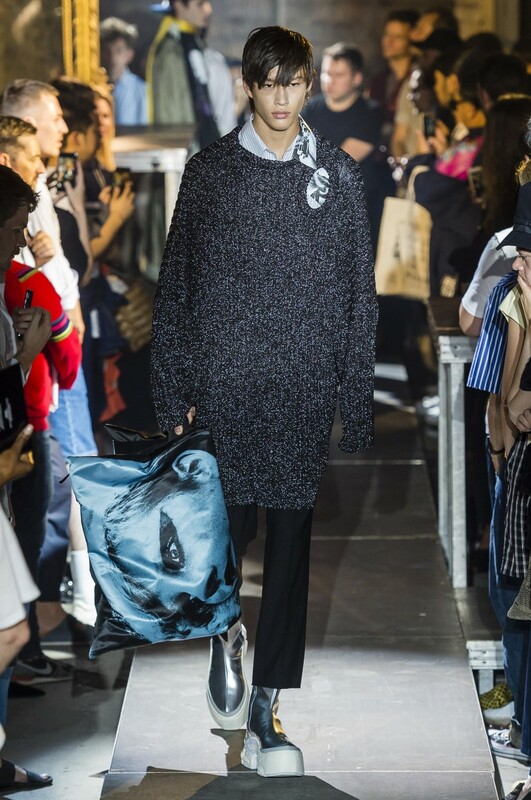 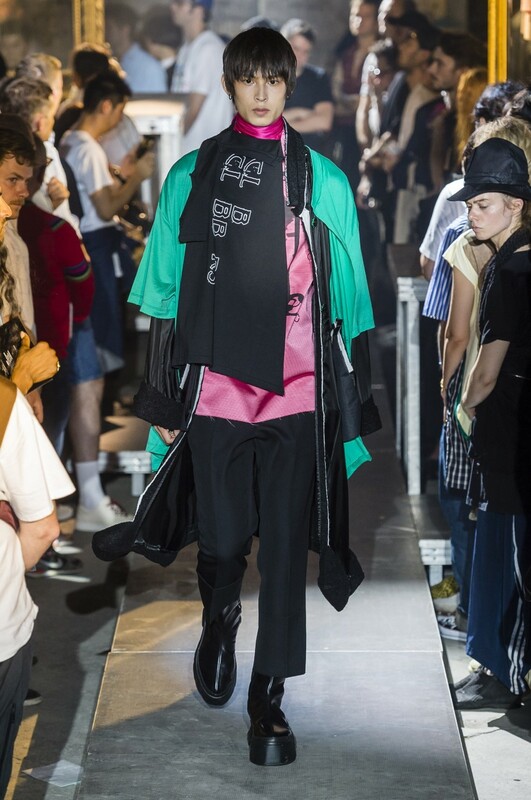 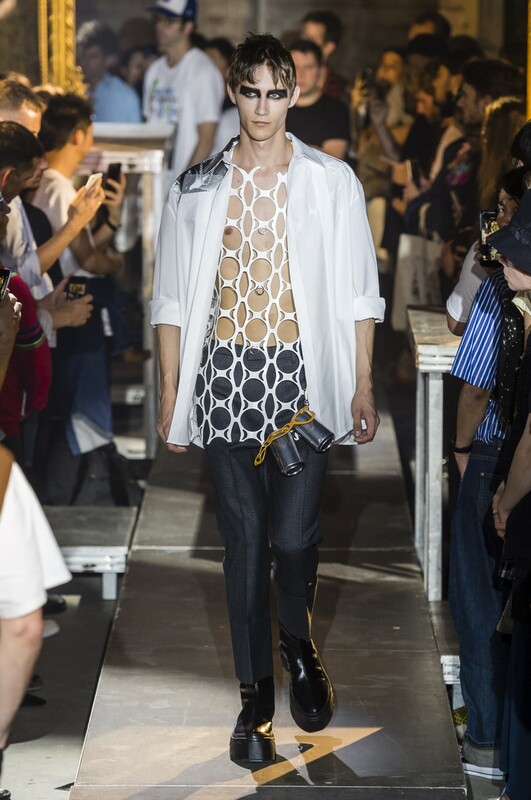 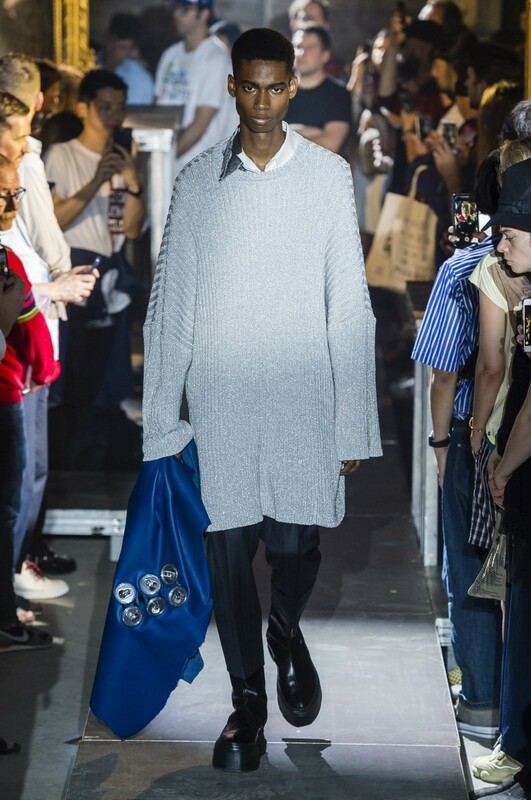 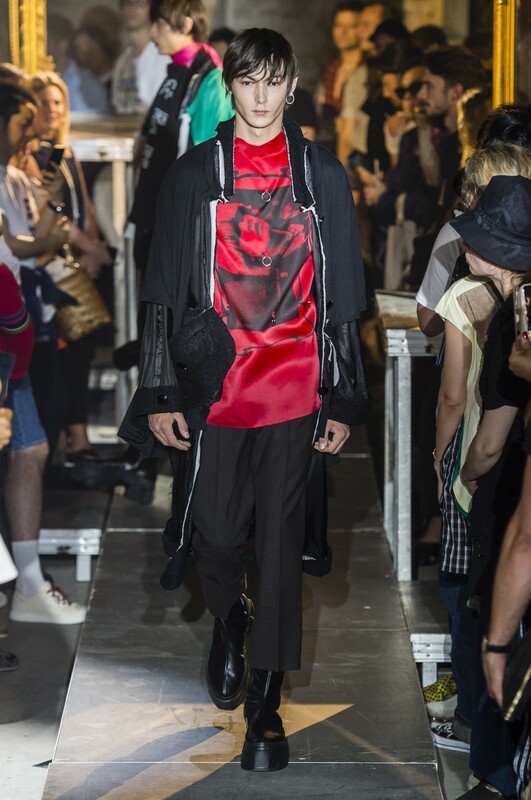 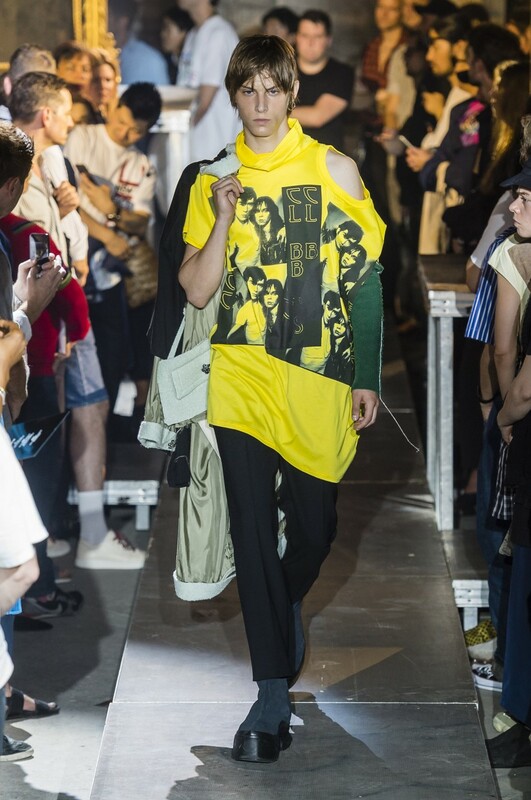 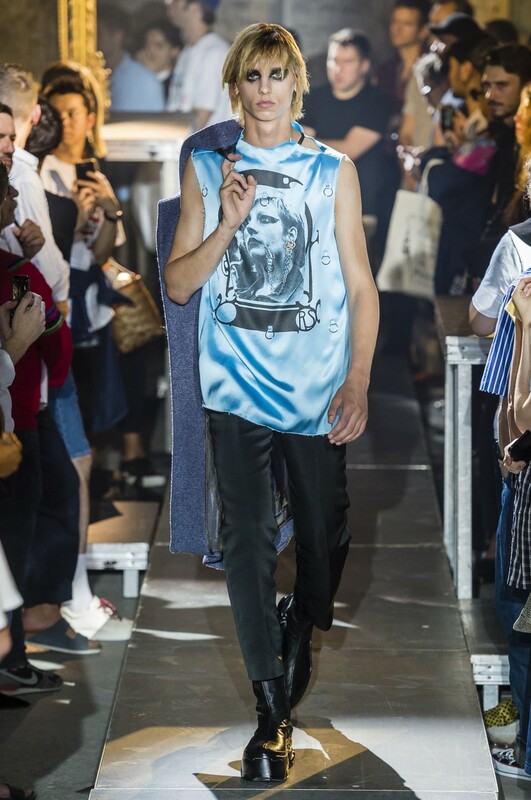 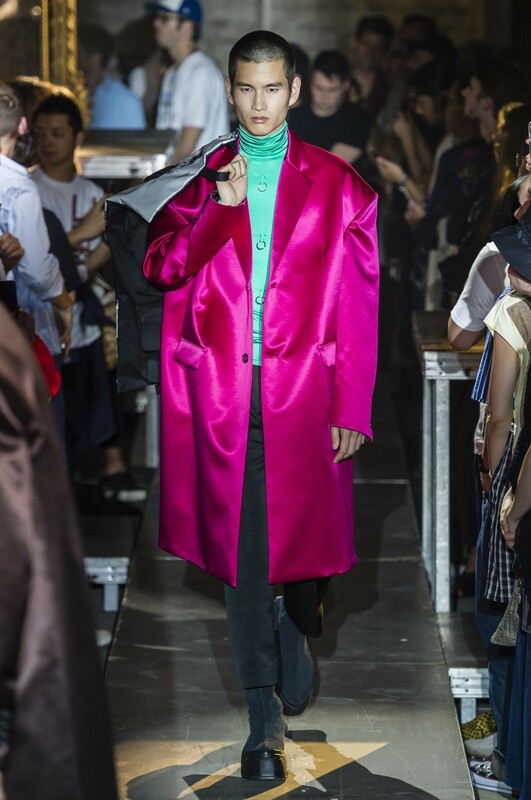 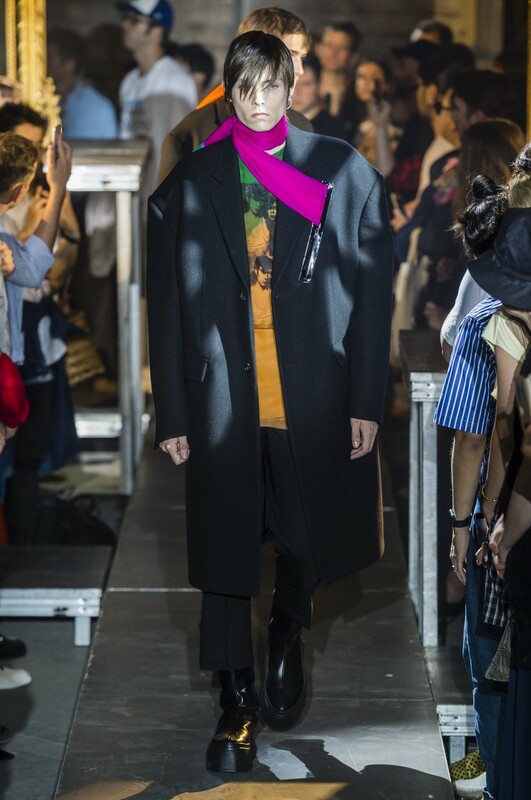 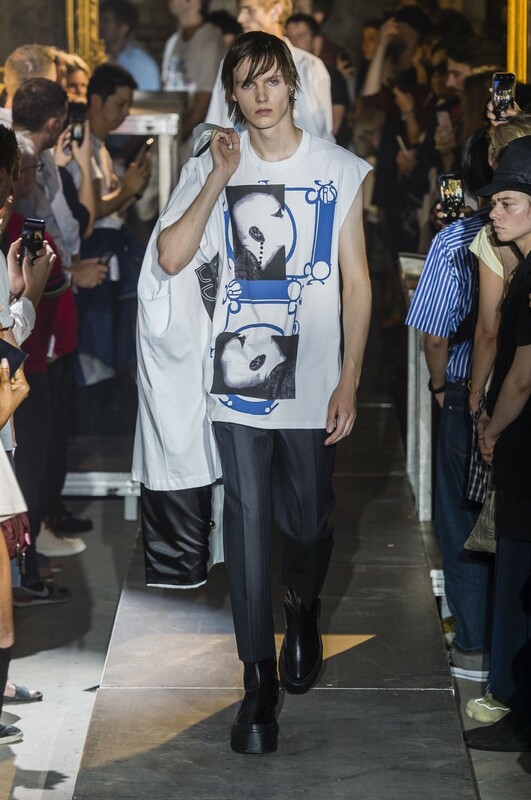 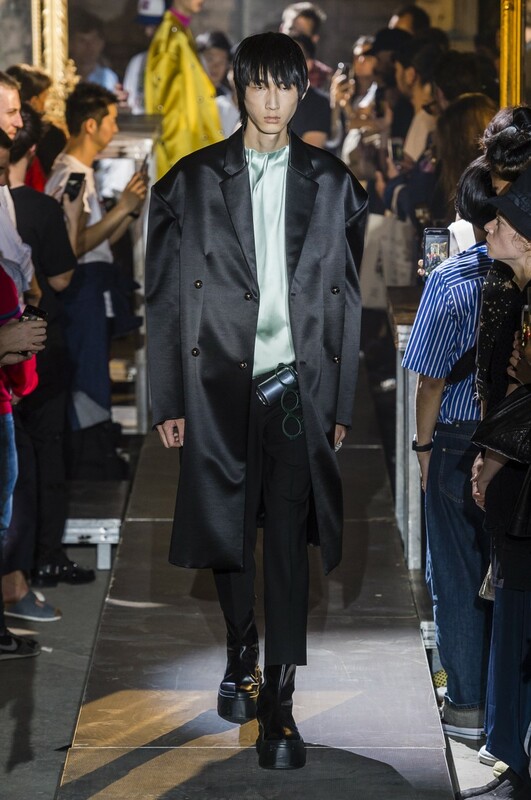 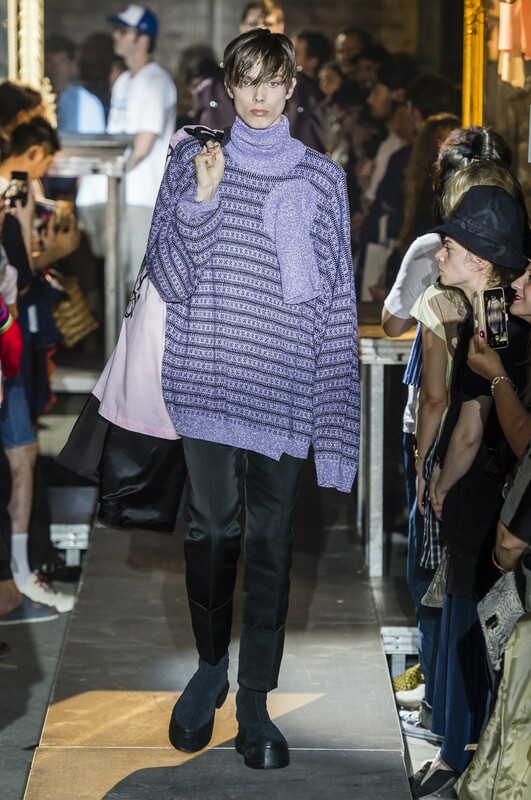 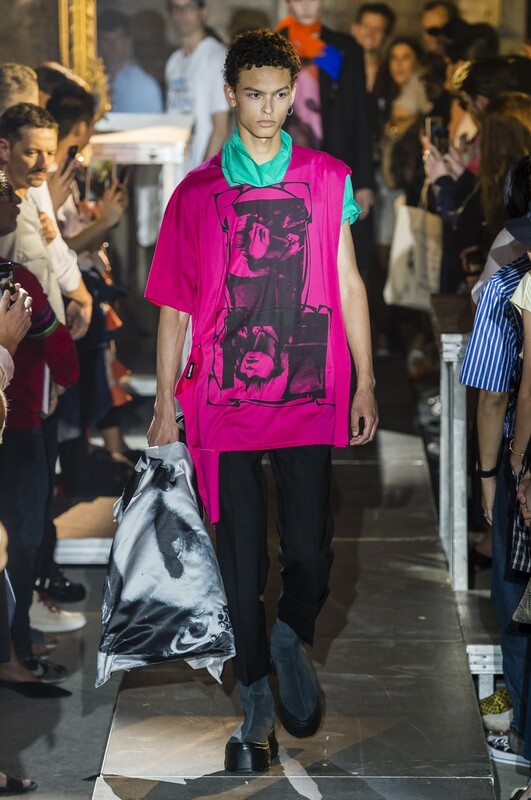 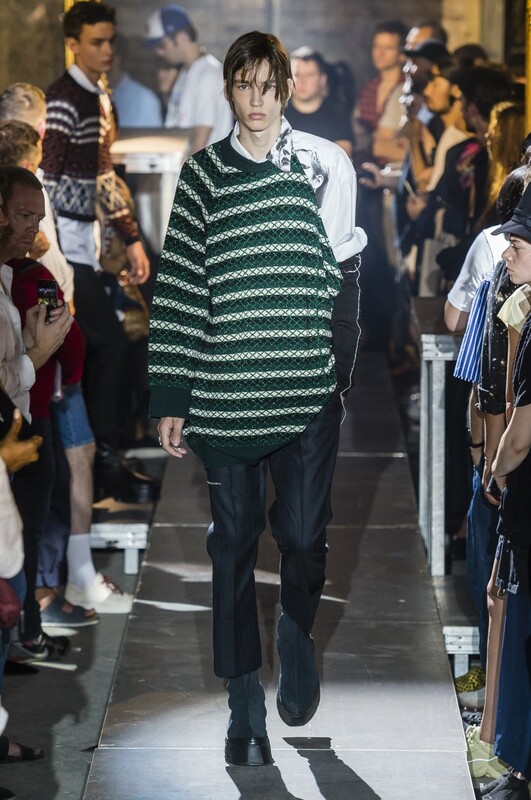 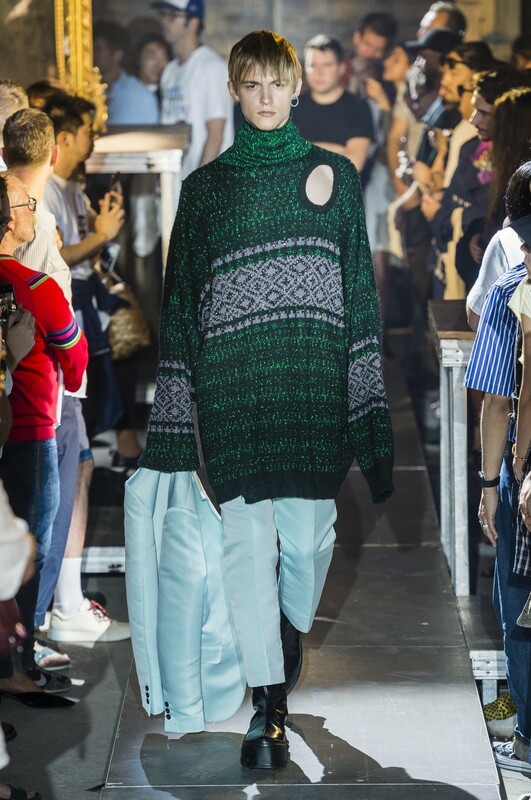 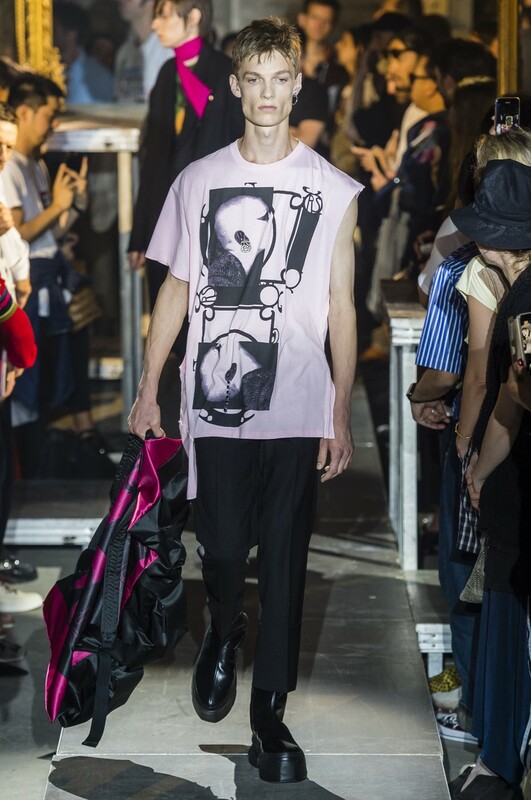 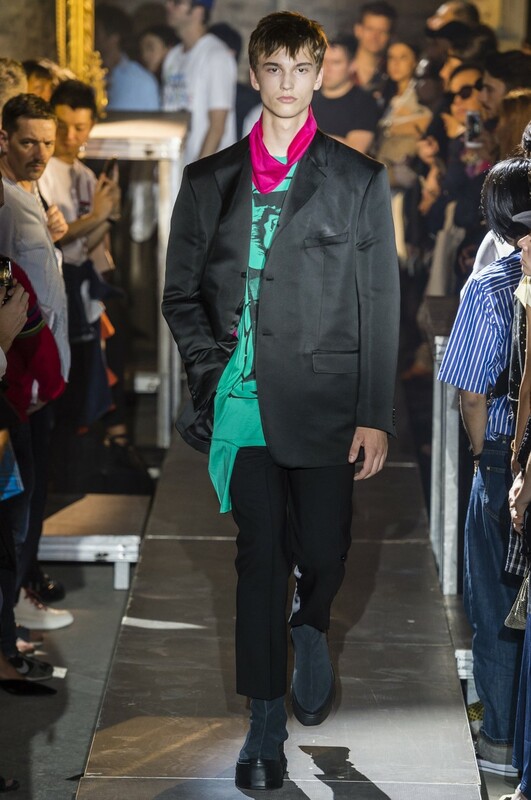 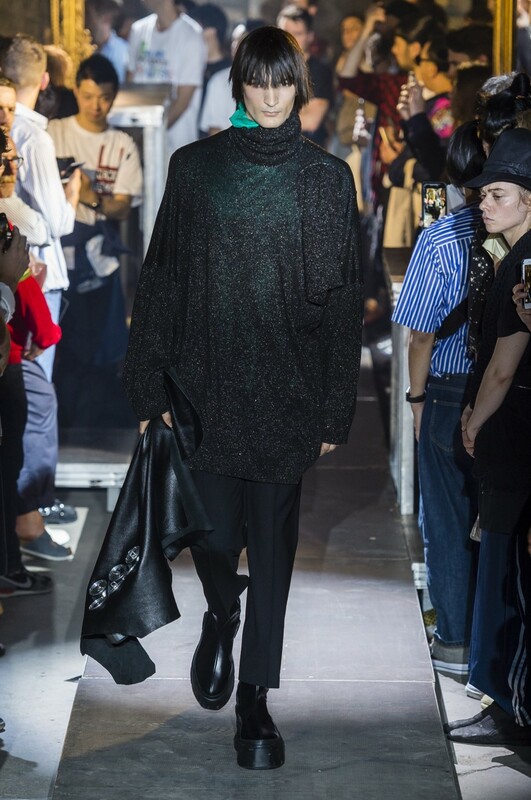 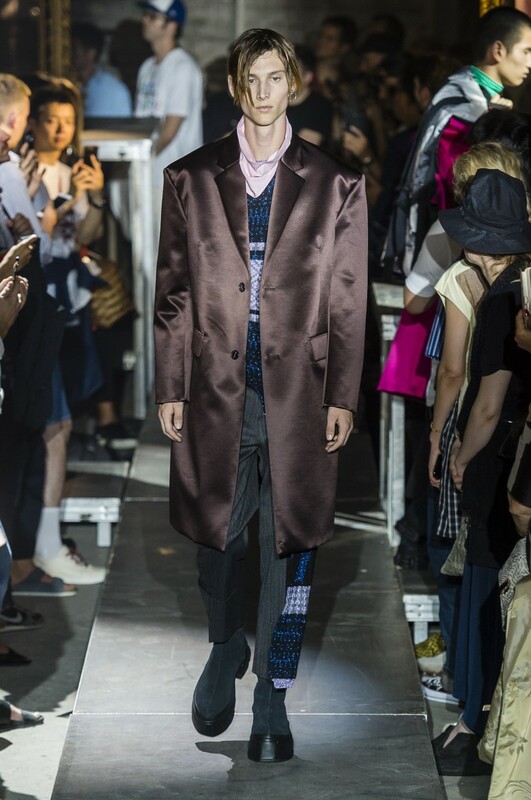 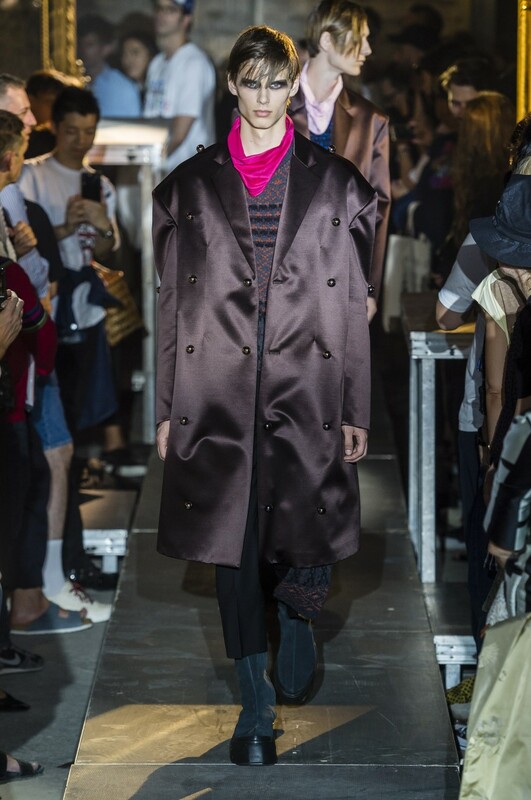 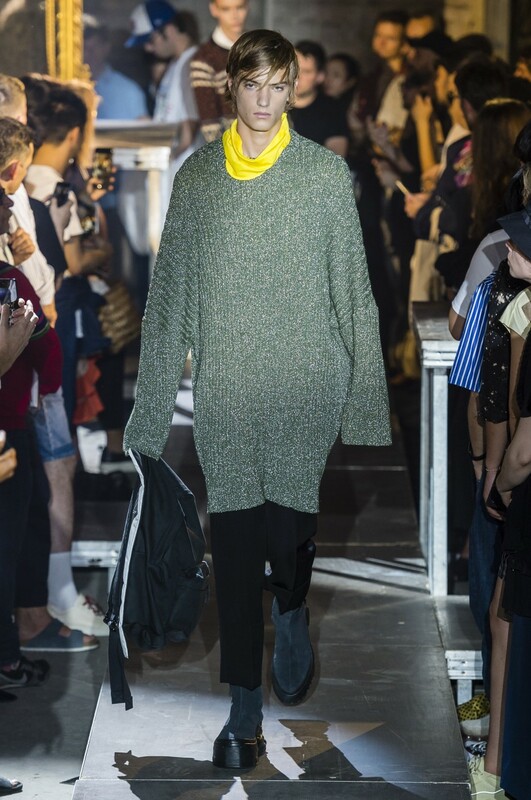 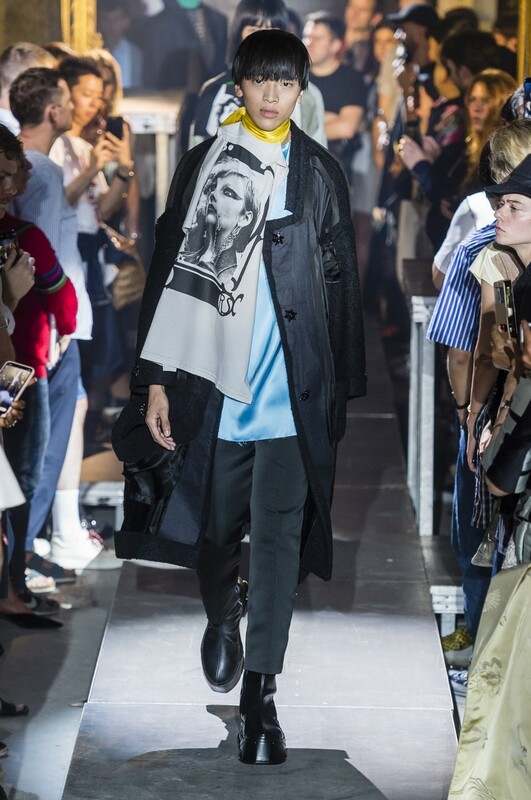 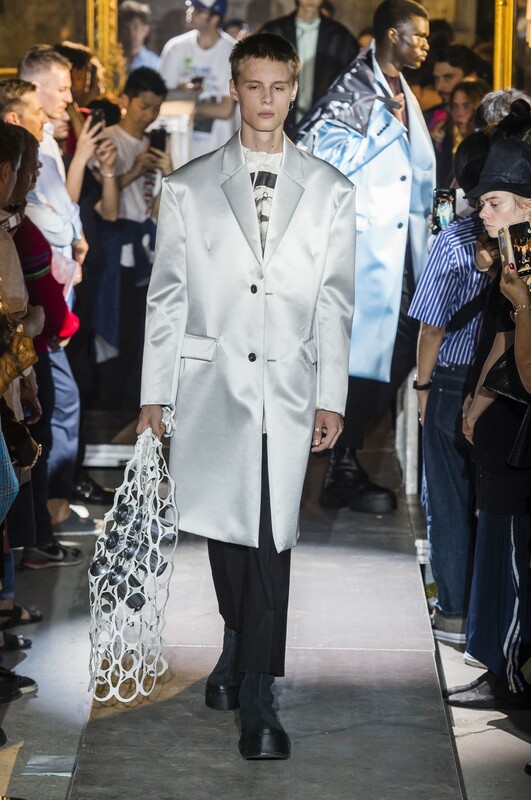 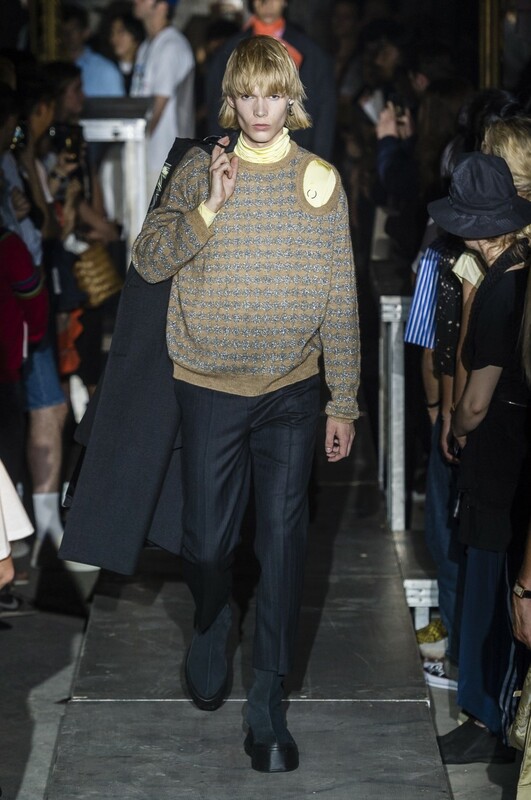 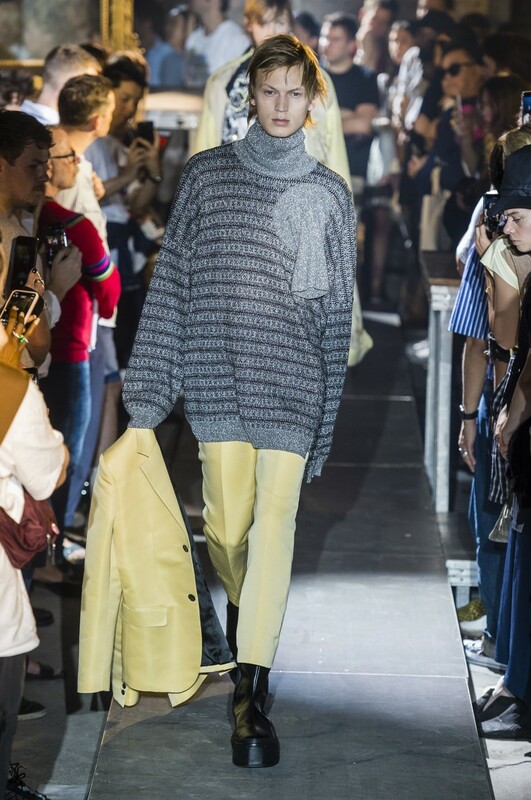 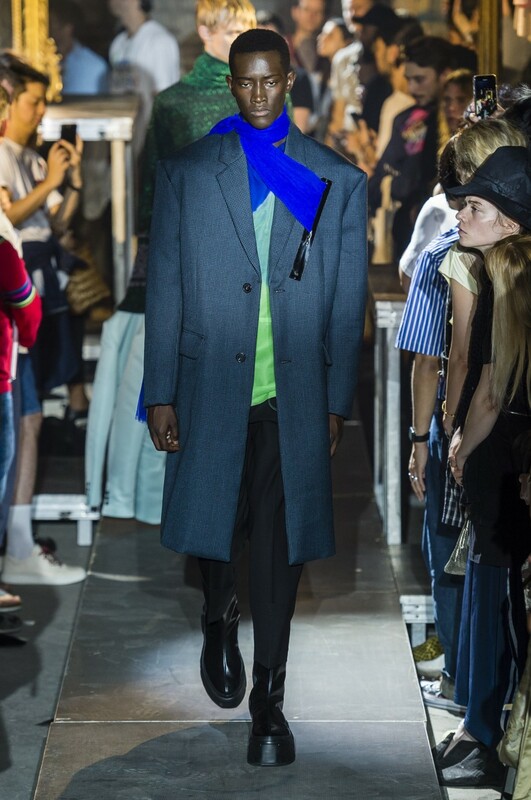 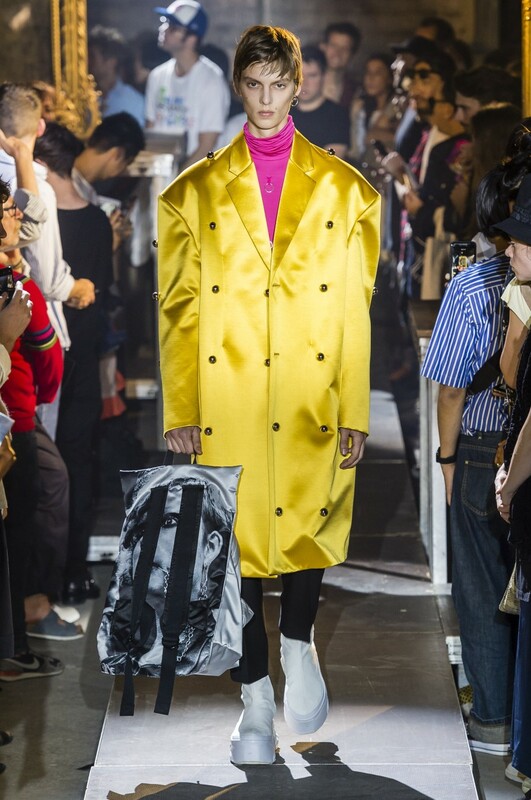 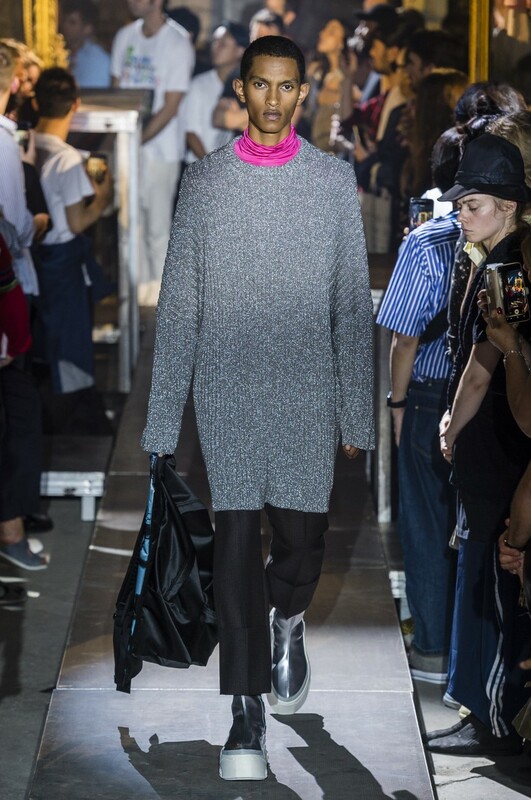 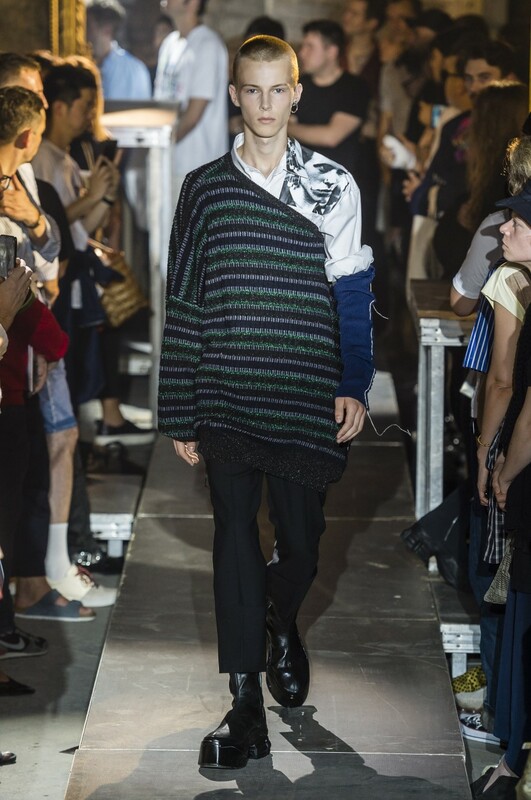 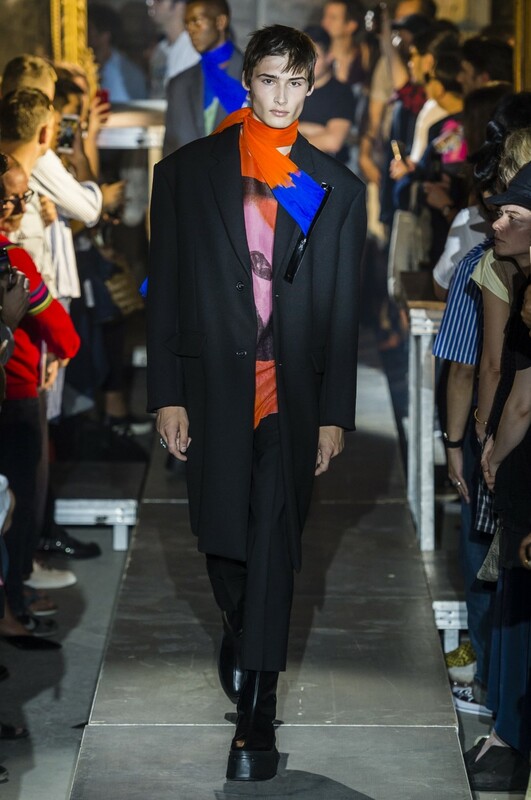 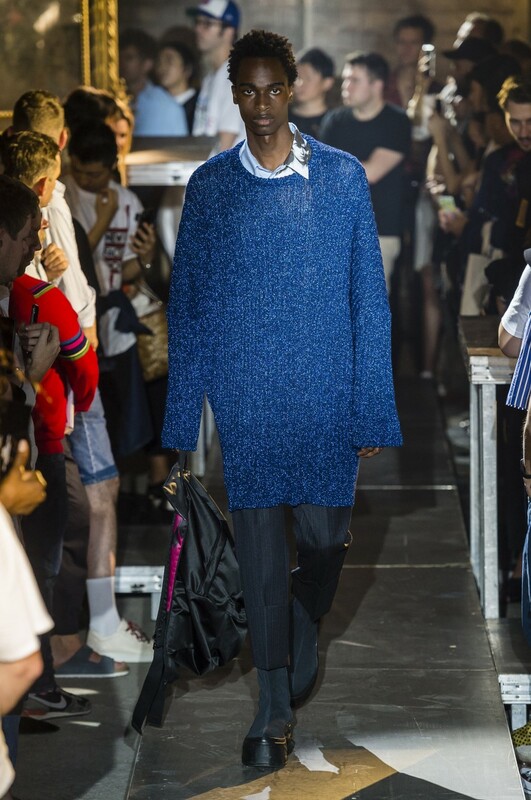 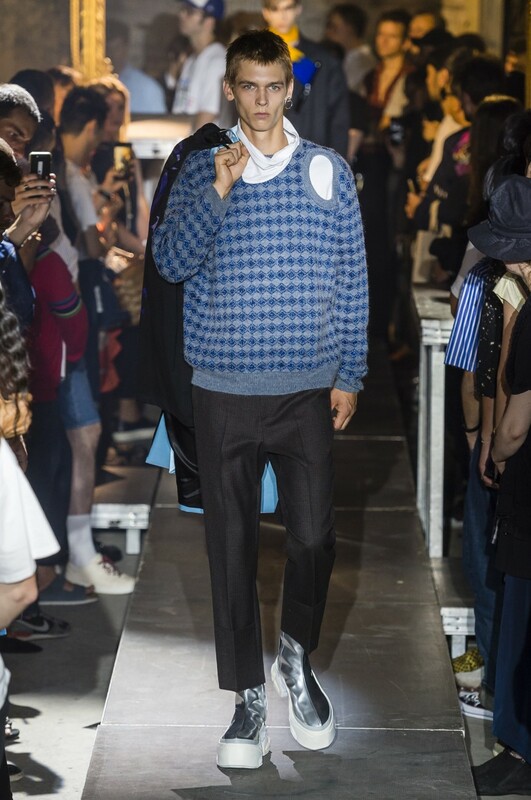 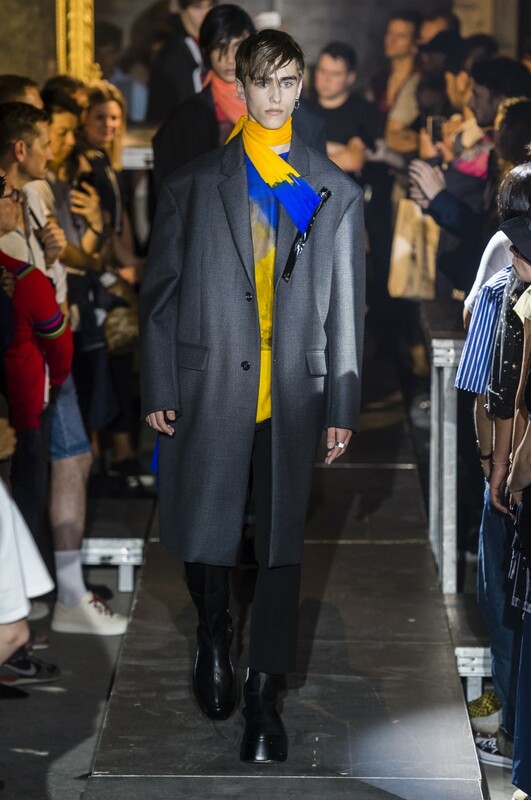 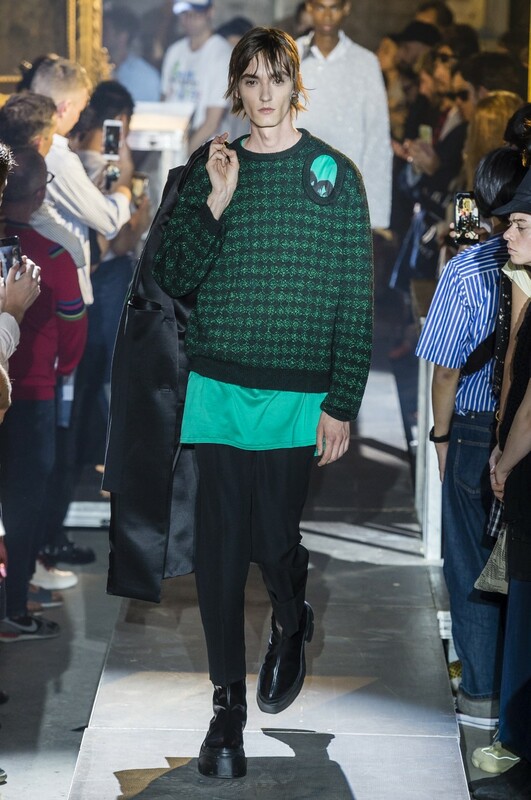 After three successful seasons at New York Fashion Week, Raf Simons returned to Paris Fashion Week for his Spring/Summer 2019 show at a rave-fuelled warehouse in the Montreuil suburbs of Paris. 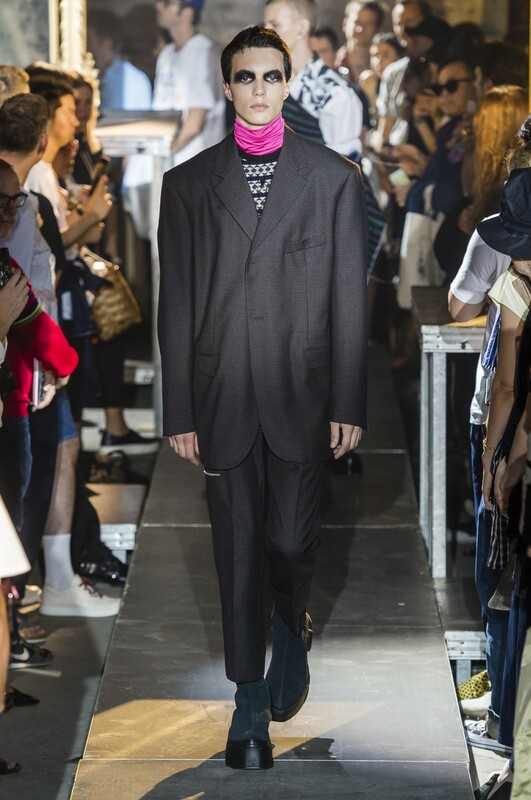 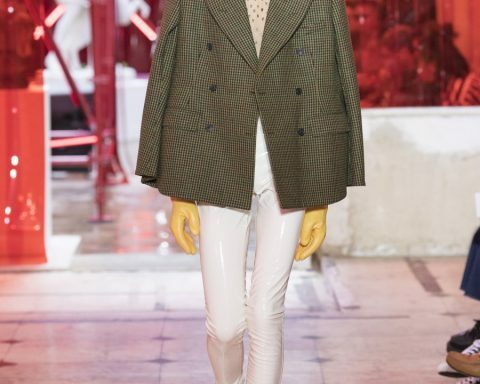 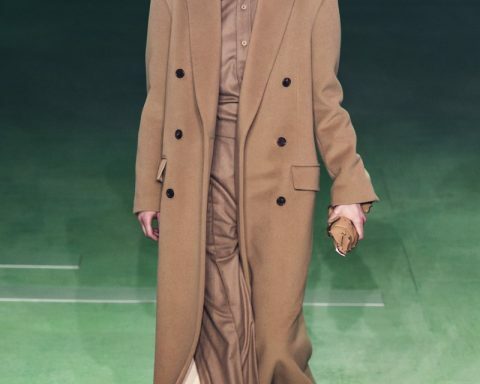 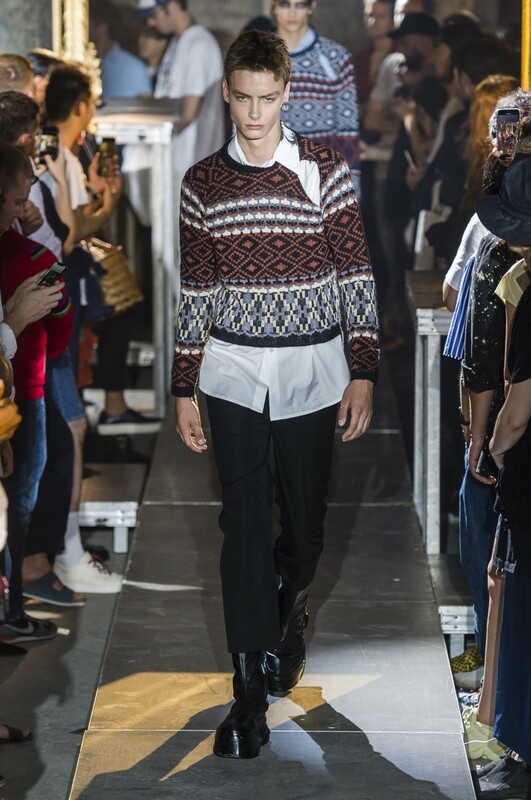 The Belgian designer takes his youthful man and goes formal for this season. 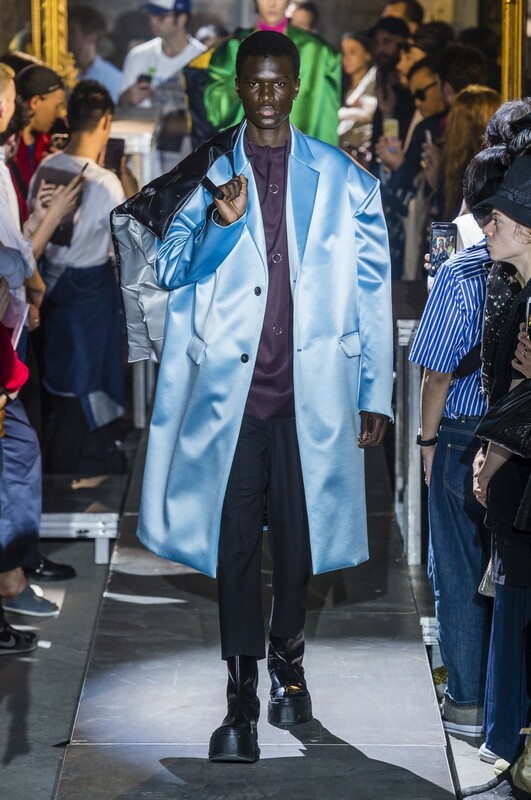 Another designer to buck the streetwear trend, Simons embraced Duchesse satin for a bold statement. 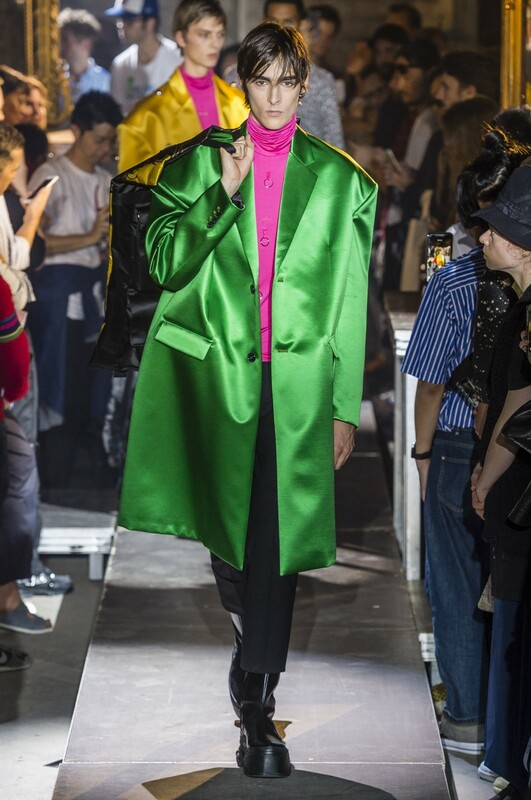 ‘’I was thinking of Yves Saint Laurent, when he was doing his incredible color combinations. 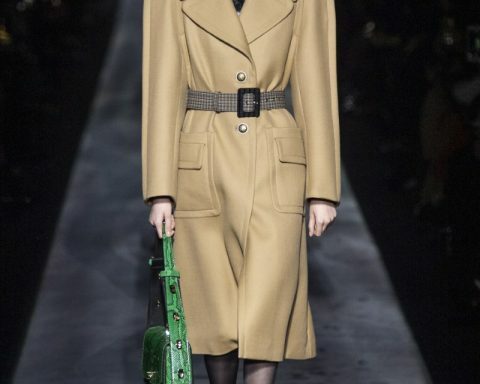 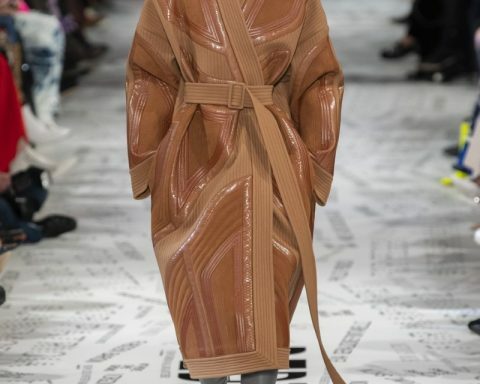 Everything except the jersey and a couple of menswear suits was made from duchesse satin’’, he told to Vogue.